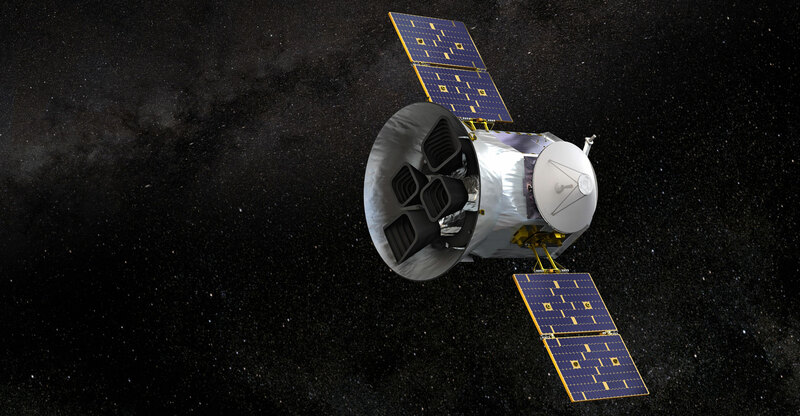 Nasa’s Transiting Exoplanet Survey Satellite (Tess) aims to find at least 50 small rocky planets during its two-year mission. Scientists have announced its first success, a planet named HD 21749c which is about the size of the Earth and orbits a star 52 light years away. Unfortunately, for any prospect of finding life on the planet, it has searing surface temperatures of more than 400°C. The super-heated planet is very close to its parent star, making one orbit every 7.8 days. However, the discovery demonstrates the telescope’s ability to pick out small planets around stars, scientists said. Future worlds Tess identifies could be cooler with conditions more suited to life. Details of the observations are reported in the Astrophysical Journal Letters. Diana Dragomir, from Massachusetts Institute of Technology’s Kavli Institute for Astrophysics and Space Research, said: “For stars that are very close by and very bright, we expected to find up to a couple of dozen Earth-sized planets. And here we are — this would be our first one, and it’s a milestone for Tess. The team also found another previously reported warm “sub-Neptune” planet in the same system which has a longer, 36-day orbit. Tess was launched on 18 April last year and is designed to observe almost the entire sky. The satellite looks for dips in light that might betray the presence of a planet passing or “transiting” in front of its host star.